Everyone in the world has a date and day of birth. Every single year, when we blow out the candles on the birthday cakes we love so much, all we wish for is more life and health as well as prosperity. The life we have now might be perfect or bad. However, we always wish for something better than what we might have at the moment no matter how perfect our life might be. One thing about birthdays is that, they give hope no matter how bad a person might feel. Even when there is no party held on our birthdays and we do not have a cake, we are grateful for another life added to our life which is what we are always grateful for. Generally, birthdays give us a renewed hope and the belief that, our lives can be better than it is now. We also have the belief that, every year is a milestone of perfection in our lives even if our life is not so great like we would want. On our birthdays, we expect our loved ones and friends to send us goodwill text messages to make us feel better and also to make us feel special. Most times, the good will messages we receive come in form of birthday quotes from famous writers and sometimes, our loved ones draft some messages for us on their own. Every birthday quote has a meaning. This is why it is necessary to make sure you do not take for granted the importance of giving or sending birthday quotes to your loved ones or friends on their birthdays. If you do not see why you should send a birthday quote to your loved one, you will when you get to understand exactly what these quotes mean and the messages they send out. Here, Robert Orben makes it very clear how important our future wishes are. Yes, every single year we celebrate our birthdays, we end up wishing for more in the coming years. Even if our current days are very bad, we always look forward to better days ahead. 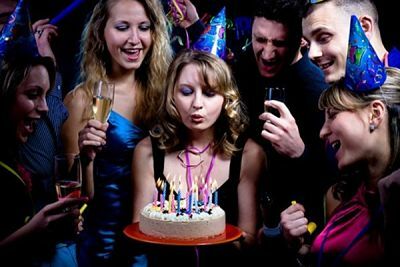 We always have a feeling that, our best birthdays will be those coming in subsequent years. This quote is the same as that of Robert Orben but different in words. Lucy Larcom an American poet makes it clear how the best years are always yet to come. Yes, this is why sending a friend such a text on his or her birthday motivates a whole lot. Robert Lynd is an Irish writer and he also supports and make known how important birthdays are. Yes, birthdays are truly important. They make our lives worth living and give us reason to push on for better days ahead. There is no special day than a birthday when you have all your loved ones around or have them send you gifts and presents including text messages or phone calls. Life is beautiful with all that and the love shown by friends and loved ones on this day is what makes the day a special one. This quote also makes it clear how important it is for us to be happy and be hopeful. This quote can relate to birthdays in many ways. Most people take their birthdays as doom days especially when they feel they have nothing to show for it. However, this quote makes it clear that, happiness should come from within and the fact that you believe you have a better and bright future. You do not need to have everything perfect in your life to be happy. Yes, you need to be very careful ad cautious the way you handle stuff. This quote also has a lot to do with years and days ahead and how we should see all challenges in our lives. The pain you might be feeling on your birthday today should be the strength that will take you on for tomorrow in order to be a better person and have the best. Life is interesting at the end; some of your greatest pains become your greatest strengths. – Drew Barrymore. There are some people who do not like birthdays because they feel they have nothing to celebrate. Well, we all have something to celebrate even the life we have and the good health we are enjoying. Do not worry about the fact that you are growing old or aging because there is no way you will grow younger by worrying about your age. This is why you need to be very careful how you take every birthday and the aims you set for yourself. Instead of worrying so much that you are growing old, why don’t you think about growing up and making your life better. Apart from inspirational birthday quotes that helps to give our friends and loves ones so much to treasure, there is so much to gain from funny birthday quotes. 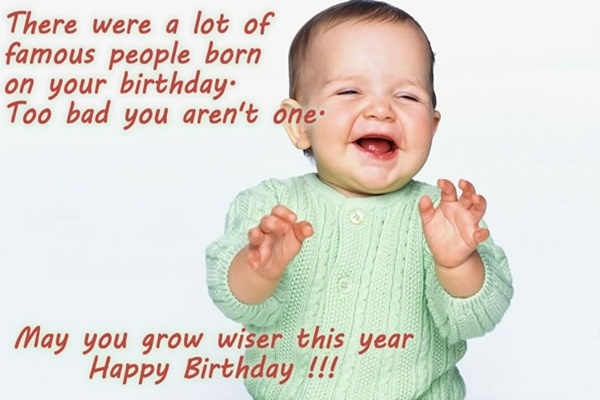 Funny birthday quotes help to give your friends and loves ones something to laugh about. This is very funny and goes for men mostly especially those that tend to have bald hair when they grow older. People without sense of humor will not get the joke in this but those with great sense of humor will and that is what makes life worth living. 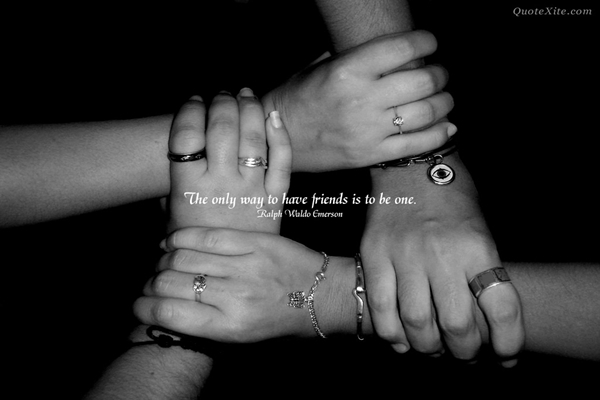 This quote is also very true. This is because, we do not want to grow older and as it happens; we have a younger soul that tries to find out what happens. This quote is not only funny but tells us to be more serious and also very optimistic about our life and to know that growing older in age does not mean life has ended. As we grow older, our pains heal and we mostly forget most of the bad things that happened to us in the past. 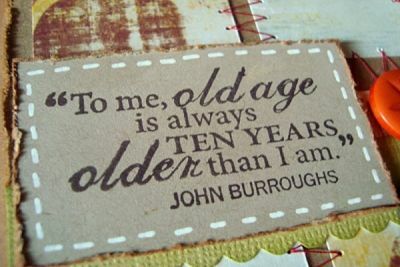 However, we start to look older which is what this quote talks about. The above funny jokes are mostly related to some jokes about how aging is very annoying sometimes. Most people measure their life by the successes they have chocked. Although this is alright, it should not be the main reason why you measure yourself to be worthy or worthless. Life is a journey and every year should be celebrated with a lot of joy and happiness. 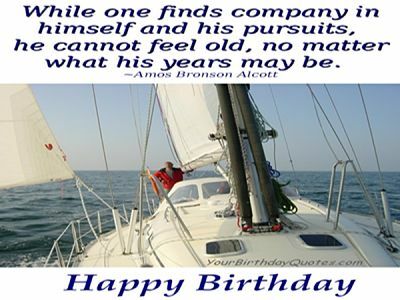 When you know the birthday quotes, you will understand how life has so much to offer you than you think. Below are some funny inspirational birthday quotes that will keep you laughing even when you feel no one cares about you because you received no messages and others. This is inspirational to tell people how old they are should not be the main focus but the experiences they have had from life. This is a very inspirational quote that gives aging men and women some hope. This is another amazing and very meaningful inspirational quote that talks more about how we can look and feel beautiful even as we grow. Some people concentrate more on their bald heads and wrinkles instead of thinking about how beautiful they look in person and also how great they are as a person. This is why it is important that, every individual thinks more about being happy and more cheerful as they grow and also very confident in their looks. This quote has to do with advising and making it known to people how easy it is to stay younger and healthier even as you grow older with the right methods and healthy dieting. Today, there are men and women who look 28 but are 60 years and counting. This is very real and all this can be made possible by maintaining the right dieting life. This quote makes it clear how being a youth can be very sickly. Yes, being a youth is a disease because there are so many things that we do during those times that we will never do as adults and most of those things we do are stupid mistakes we make. If you think or feel you are too old because you are 40 years, it is time to understand that you are not as old as you think. Many people blame their age for every single thing they cannot do and the mistakes they make. Come to think of it, there are people who are older than 40 who are still making things work for them. The older one is, the better his or her life should be. Birthdays should always be times for fun and more excitement and not times when you think about how bad you are doing in business or how you have failed. When you are fortunate to have another year added to your years, you should be grateful and show appreciation to all the people around you for being there all the time. As you grow older, you need to take dieting and other exercises very important too. This is one of the ways to stay healthy and strong and also to look healthier and more beautiful even as you grow. Your life can be better only if you try your best to look on the brighter side all the time. Do not look down upon yourself and you will be happy you lived this life. Make sure you love and show care to everyone and always keep a smiling face no matter what.